Are you looking for popular brand smartphone with Android operating system?. 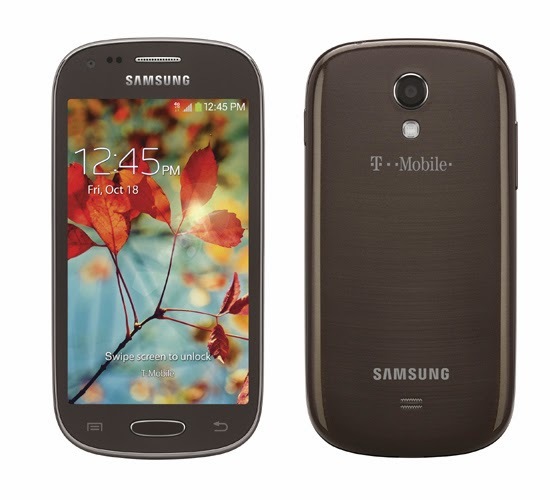 T-Mobile U.S officially announced the 'Samsung Galaxy Light,' an affordable LTE - Android 4.2.2 OS smartphone and will available soon on T-Mobile. The Samsung Galaxy Light features a 4-inch WVGA display with resolution of 480 x 800 pixels, powered by a 1.4 GHz Quad-Core Snapdragon processor with 1 GB of RAM, 8 GB of Internal storage capacity that you can expand via a microSD card slot. Samsung Galaxy Light have a 5-MP ( Megapixels ) rear camera and a VGA front facing/video calling camera. This is packed with 1800 mAh battery 'not sufficient' and Android 4.2.2 Jelly Bean OS. Unfortunately, we don't have price details yet.